What a difference a year makes. Topps played with the Finest formula last year and got some things right. Unfotunately what they got wrong was the card design. This year all of those added elements remain and 2014 Topps Finest Baseball comes on strong with a sharp looking design. 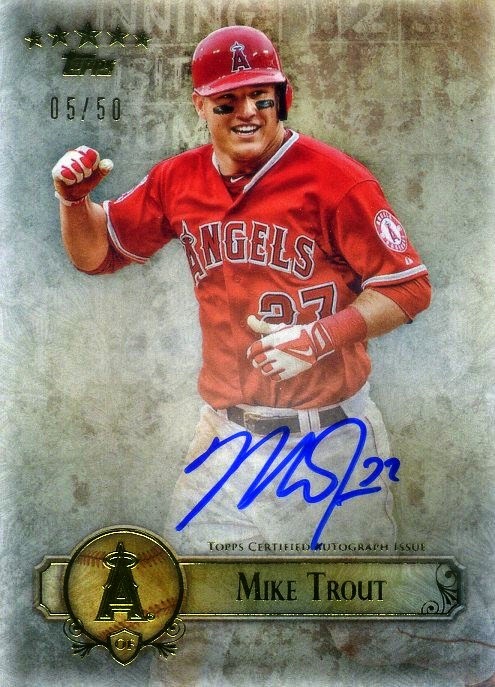 While Finest Baseball falls under our classification of premium cards, there is enough here to keep set builders interested so there is some cross over into our trading cards category. Hobby exclusive master boxes contain 2 mini boxes, with each mini containing 6 - 5 card packs. Each master box contains 2 On-Card Autographs. I have always been outspoken with my opinion that team logos do not make or break a card, that great cards can still be produced without a league license. Just the same, having a league license does not guarantee every set of cards will be fantastic. Unfortunately for 2014 Donruss Baseball, the thing that hurts the set is not the absence of a league license, it’s photo selection, or lack thereof. Here is an example. That is a lot of cards that look pretty much the same. As a matter of fact, the vast majority of photos are from 4 vantage points, one for right handed hitters, one for left handed hitters, one for right handed pitchers and one for left handed pitchers. Even with team logos, these cards would be uninteresting and repetitive. Add the “throwback” backs that are about as dull as humanly possible, short of the full names, and now you have an entire base set that is not worth collecting. (I can’t believe I just said that.) The only collectors who might be interested in this base set would be those people who collect a player or two that MUST have every card ever published to complete their collection. The only thing that saves this set from being a complete write off would be the inserts, not even the hits. Clearly the most desirable cards to come out of this set are the Diamond Kings, a collector favorite. These are a prime example that no license is needed to produce a good looking card. Still, will any of this stop true Donruss fans from gobbling up these cards, especially with the return of the Rated Rookie? Probably not. 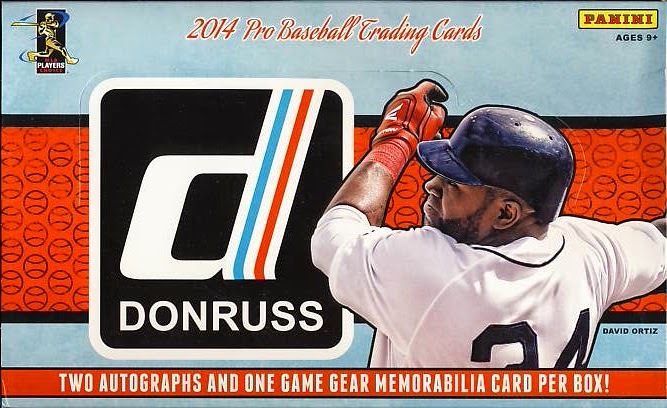 2014 Donruss Baseball fits into our Trading Cards category. Each Hobby box includes 24 packs with 8 cards per pack, one oversized Diamond Kings box topper and 2 autographs and one game gear memorabilia card per box.